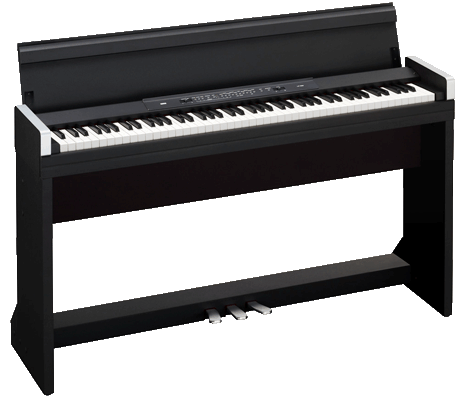 Korg has announced that its LP-350 lifestyle piano will be available from March this year. The body of the digital piano is under 11 inches deep, meaning it should be easier to fit it into smaller homes. It’s a full 88-note keyboard, though, utilising Korg’s RH3 graded hammer action technology for a more realistic feel, three levels of touch sensitivity, and accurate stereo sampling from an acoustic concert grand piano. It comes with all three pedals, can be tuned and has alternate scale tunings, features 60 note polyphony, 30 sounds including five pianos and seven electric pianos, reverb and chorus, sound layering, and 2x11W amp with 2x10cm bass-reflex speakers. Available in black and white, pricing to be confirmed.